The Digital Summit Tallinn is a high-level event bringing together EU heads of state and government to discuss EU plans for digital innovation. 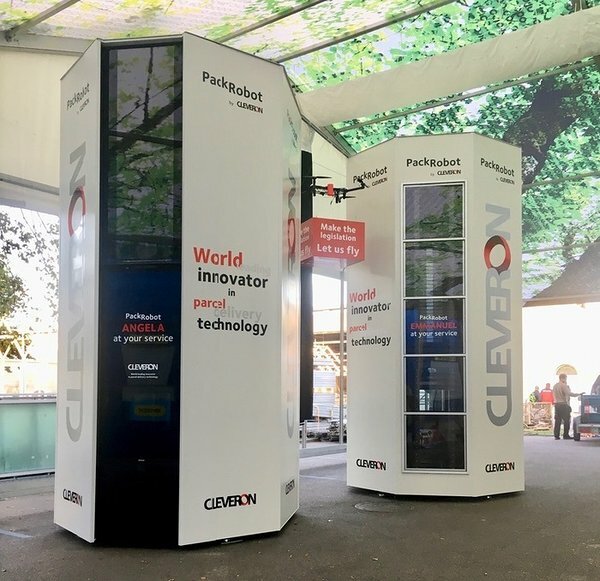 Cleveron is showcasing its parcel delivery technology and encourages to speed up the legislation for drone delivery. The Digital Summit will bring most of EU state heads, among others Angela Merkel and Emmanuel Macron, to Tallinn. The Summit will be a platform to launch high-level discussions on further plans for digital innovation with the aim of keeping Europe ahead of the technological curve while becoming a digital leader, globally, in the years to come. Digital Summit Tallinn 2017 is held on the 29th of September. Two Cleveron's PackRobots, Angela and Emmanuel, are ready to offer fastest and easiest parcel delivery available.